CLYDE FARRELL, partner, has been in private Elder Law practice since 1993. He is a Certified Elder Law Attorney, certified by the National Elder Law Foundation, as recognized by the State Bar of Texas Board of Legal Specialization, and is a Certified Financial PlannerTMpractitioner. Prior to founding his Elder Law practice, he served as an Assistant Attorney General in the Texas Attorney General’s office, where he established the Elder Law Section and served as its first Chief. 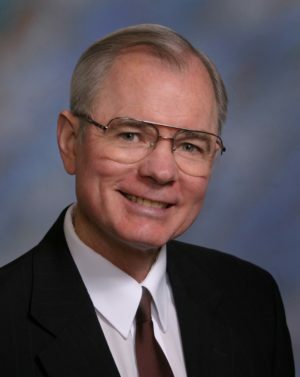 Mr. Farrell is a founding Director and past President of the Texas Chapter of the National Academy of Elder Law Attorneys and past President of Family Eldercare in Austin. Texas Monthly has named Mr. Farrell a “Texas Super Lawyer”(a Thomson Reuters service published in Texas Monthly) each year from 2003 through 2018. He was also included in THE BEST LAWYERS IN AMERICA (2008-2019) and AMERICA’S TOP FINANCIAL PLANNERS (2008-2011, 2013 and 2014). Mr. Farrell is a regular featured speaker on Elder Law matters at continuing education conferences for attorneys and financial planners; his research and articles are available from the conference organizers, such as the State Bar of Texas and University of Texas CLE. He has authored and co-authored many books and articles on Elder Law topics. GREG R. JOHNSON, Greg joined Clyde in 2011 and now serves as the firm’s managing partner. He practices in the areas of probate (and avoiding probate) and estate planning, with some guardianship work. Greg is proud to provide solid legal advice to his clients – but he also brings a personal touch and sympathetic ear to clients who are often confronting challenging issues around mortality for the first time. Greg aims with every client to earn their trust and confidence as he helps them through what often feels like daunting legal and emotional challenges. In addition, Greg regularly speaks before community groups regarding estate planning and probate matters. He is a 25-year volunteer with Meals on Wheels and is currently serving as the Treasurer of the Estate Planning and Probate section of the Austin Bar Association. Greg was licensed to practice law in Texas in 2004 after graduating from the University of Texas School of Law. He holds a Master’s degree from the University of Texas LBJ School of Public Affairs and a Bachelor’s degree in economics from Oberlin College. Before joining Farrell & Pak (now Farrell & Johnson), Greg spent five years in civil litigation defending employees in contested employment disputes; and before that, he worked in the Texas Legislature.partner, joined Farrell & Pak in 2011. Greg handles estate planning, probate and guardianship cases. He obtained his Texas law license in 2004 after graduating from the University of Texas School of Law. He also holds a Master’s degree in Public Affairs (from the University of Texas, 1996) and a Bachelor’s degree in Economics from Oberlin College (1989). Before joining Farrell & Pak, Greg represented employees in workplace disputes. Prior to his legal work, Greg worked in both budget and policy positions for the Texas Legislature, and before that, he worked for a Japanese research group in Washington, D.C. Greg is currently a volunteer with elder care groups including Meals on Wheels and speaker to community and professional groups on probate and estate planning. When he is not working, Greg and his wife are busy parenting their young daughter and enjoying the outdoors. BLISS BURDETT, Attorney of Counsel, advises clients of the firm on estate planning and related matters. Previously a founding partner, she now serves Of Counsel and splits her time between law practice and business ventures unrelated to the firm. She has served as a director and past president of the Texas Chapter of NAELA (National Academy of Elder Law Attorneys) and on planning committees for UTCLE and Texas State Bar continuing education conferences for elder law attorneys. Bliss enjoys speaking and writing on elder law and estate planning topics for professional groups and community organizations in the Austin area. She has been a member of the State Bar of Texas since 1999 and the State Bar of Illinois since 1996. Bliss previously practiced in business, corporate and securities law at Katten Muchin Rosenman LLP in Chicago and Hughes & Luce (now part of K&L Gates) in Dallas. Bliss also has a background in research and teaching, with a focus on corporate governance and corporate social responsibility, company finance, and financial markets. She served as Assistant Professor in the Graduate School of International Studies at Ewha Women’s University in Seoul, Korea and adjunct faculty at the Singapore Institute of Management during her years of living as an ex-pat in east Asia. Bliss graduated With Honors from the University of Texas School of Law in 1996, attended the University of Chicago Law School as a visiting student, and graduated from Trinity University in 1992 with majors in economics and Russian. Outside the office, Bliss is involved in women’s advocacy, yoga, running and performance arts, especially music and dance. MEREDITH ANN SULLIVAN, associate attorney with Farrell & Johnson PLLC, has been associated with the firm since 2011, as a law clerk, bookkeeper, and attorney. Meredith earned her J.D. from Baylor Law School in 2015 and joined the Texas Bar in 2016. Meredith graduated from Bucknell University in Lewisburg, PA, with Bachelor’s degrees in Spanish and Anthropology in 2008. Meredith originally hails from Boston, Massachusetts and remains an avid Red Sox fan to this day. Meredith is an active volunteer at SAFE Alliance, Austin’s sexual assault and domestic violence center, where she has served as a senior volunteer counselor since 2010. Meredith has traveled extensively throughout both North and South America, and has worked as a paralegal in Massachusetts, Texas and Cuenca, Ecuador. She is currently an active member of the Texas Chapter of the National Academy of Elder Law Attorneys (TXNAELA) and the Travis County Women’s Lawyers’ Association. AMANDA SANDLIN, paralegal, is an active member of the State Bar of Texas Paralegal Division, Amanda has been with the firm since 2011. She prepares and manages long-term care Medicaid applications, ongoing eligibility compliance and estate planning matters, with attorney supervision. Amanda’s technical skills and years of hands-on experience are great assets to our clients as they navigate the process of securing Medicaid benefits for themselves and/or loved ones. An Austin native, Amanda enjoys the great outdoors with her beautiful daughter. AMY MORGAN, paralegal, joined the firm in December 2015 shortly after obtaining a degree in paralegal studies. She specializes in probate and assists Greg with managing the office as well as with estate planning matters. During her free time, Amy writes poetry and short stories. She also dabbles in photography and mixed media art. She enjoys hiking, jogging, and exploring Austin with her husband, new baby, and two dogs.